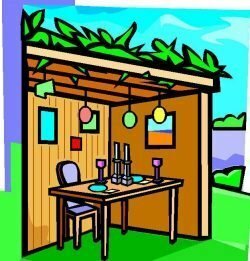 The Feast of Tabernacles is also nicknamed “Sukkah” or “God has us Covered”. 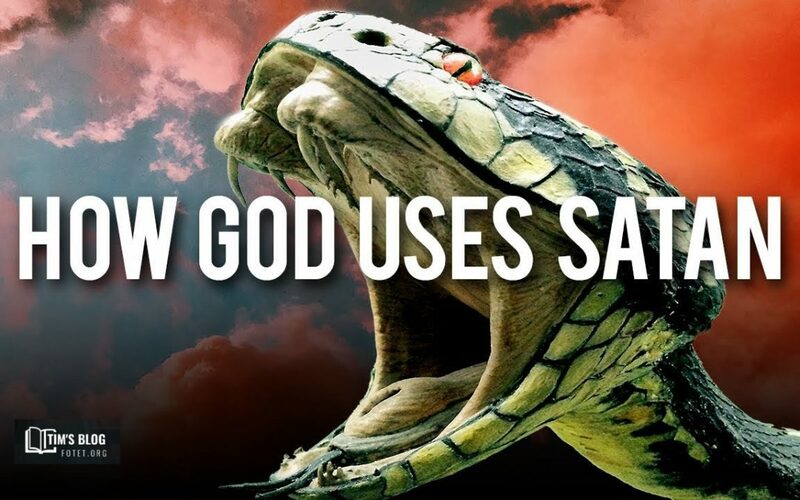 The name Feast of Tabernacles comes from the tabernacles, or temporary dwellings, that God commands His people to stay in during the fall, seven-day festival. These temporary living quarters (“Sukkah”) reminded Israel of their exodus from Egypt and serve as a reminder of the temporary nature of life and that God was always present as He “tabernacled” through the wilderness with His people (Leviticus 23:43; 2 Peter 1:13-15). As part of the yearly festival, worshippers were to construct makeshift, 3-sided “booths” like the one above to temporarily dwell in during the week-long celebration. In his end-time prophecy, Zechariah reveals that the Feast of Tabernacles will be re-instituted in the Millennial Kingdom. All nations will be required to annually gather and pay their respects to the Lord in Jerusalem as the source of all blessing. “Then it will be that all the nations who have come against Jerusalem and survived will go up each year to worship the King, the Lord of Hosts, and to celebrate the Feast of Tabernacles” (Zech. 14:16). This prophecy reveals that the nations will gather to fight against Jerusalem (Zech. 12:1-14; Joel 3:1-2; Ezek. 38:4). Following the battle, the survivors from these attacking nations will once again go up to Jerusalem—not to make war, but to worship the LORD of Hosts, demonstrating their submission to the King of kings. 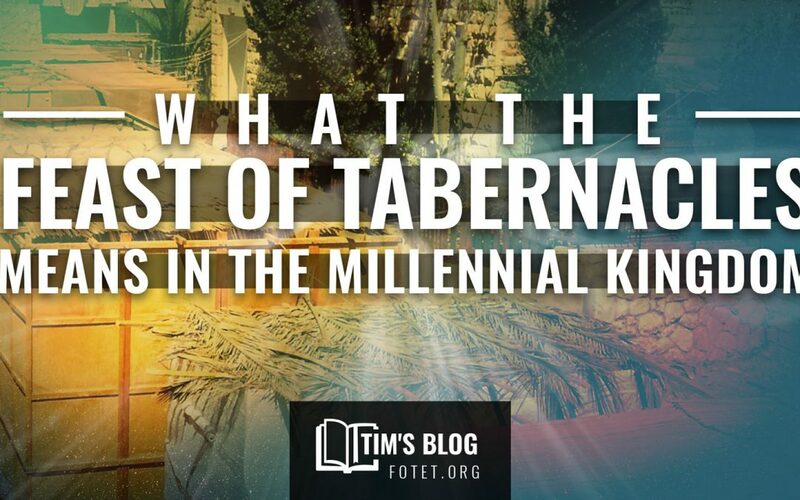 All nations will have a new, millennial orientation around God’s Will and His Word to worship Him annually in Jerusalem at the Feast ofTabernacles. In the kingdom, mankind’s schedule will be aligned with the LORD’s calendar, and their priorities will be seen in their obedience to worship Him (Zech. 14:16). The nations who survive will no longer be God’s foes but followers of the King. In Kingdom culture, man recognizes the centrality of Jesus in God’s biblical calendar. Central to that calendar is orienting life around Christ and His authority and finding sufficiency and security in His Jerusalem-centered reign over the nations. One of the most beautiful prophecies about spiritual life is the river of living water flowing from Messiah’s temple in the Millennial Kingdom (Ez. 47:1-12). The prophet Ezekiel sees a trickle of water flowing out from under the throne, which pictures Christ, and then it passes under the new temple alter showing that spiritual life comes through the shed blood of Jesus and the cross of Calvary. 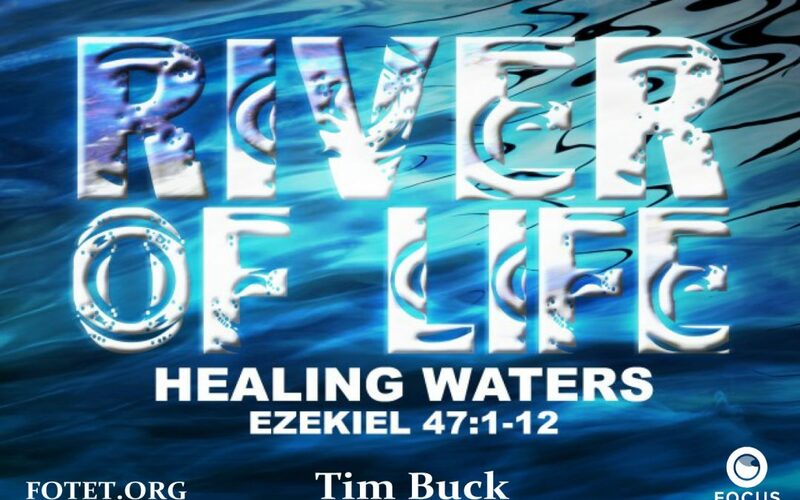 The paradoxical river is a picture of the rich spiritual life flowing from Christ through His Word and the Holy Spirit.The supernatural spring does a strange thing – it grows wider and deeper in a short distance until it becomes a river that Ezekiel can’t cross. God’s word opens the riches of Christ so wide that we can’t go back. The little stream from the temple flows out of Jerusalem toward the Dead Sea, twelve miles away. When the River pours into the Dead Sea, the sea is healed and turned into a fisherman’s paradise. God’s word is alive (Heb. 4:12) and brings life to everything it touches. The powerful, life-giving river of fresh water also brings instant life to the region so that abundant fruit trees grow on either side of the river and produce a never-ending supply of fruit, every month! Isaiah adds that the desert blossoms like a rose (Isa. 35:1-2). 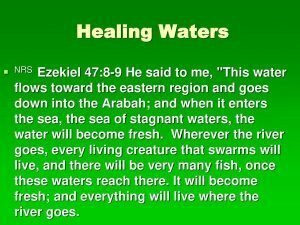 It’s beautiful to see how the Living Waters in Ezekiel 47 describes the outpouring of spiritual life available to every believer. For believers, the trickle of God’s Spirit and understanding is shallow at first. Instead of running out of energy God’s Spirit gets deeper and wider as it flows from the Word into our hearts! And its ultimate destination is to sanctify the most desolate wastelands of our heart, full of the poisonous water of our carnal old nature like the Dead Sea. This is the beautiful reality of receiving Christ and drinking the living water from His Word that so richly flows from His throne. Whatever this water touches, spiritual life springs forth making a difference for all those that come in contact with it. Praise God His living waters produce everlasting life where before there was only death. Hallelujah! 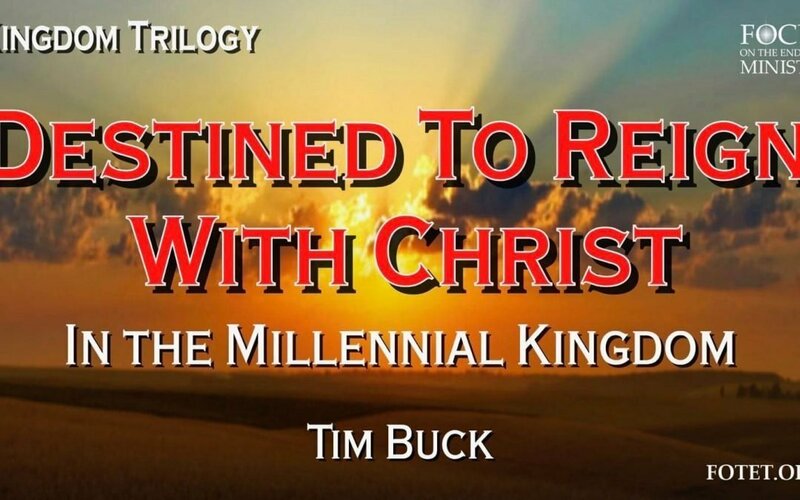 One important purpose of the Millennial Kingdom relates to a promise God made to the Church. 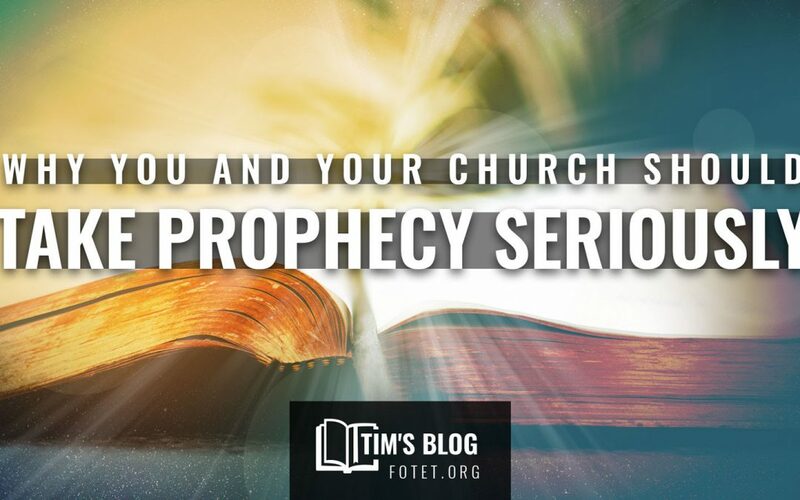 The Lord promised that church-age believers will be given authority to rule and reign with Christ, on this earth, when He returns to set up His Kingdom. No one spoke more about Kingdom rewards for believers than Jesus. 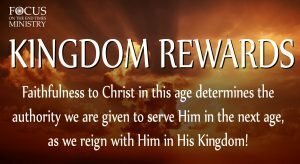 No one warned more about missing Kingdom rewards than Jesus. And Jesus taught that how we serve him today is a prerequisite for a greater position of service in the Kingdom. The Lord’s promise to reward the church with worldwide dominion will be fulfilled during the Millennium. That is what Jesus was referring to in the Sermon on the Mount when He said, “Blessed are the gentle, for they shall inherit the earth” (Mt. 5:5). What we do for Christ in this age has consequences in the next age. God rewards our faithfulness, even in the little things we do. Faithfulness today will be rewarded with greater responsibilities in the Millennium. Jesus will reign as king from Mt. Zion in Jerusalem (Isa. 24:23; Zech. 14:9). The Redeemed, in their glorified bodies, will help Him reign by serving as rulers, administrators, judges, and spiritual tutors to those who enter the kingdom in the flesh — and to their children (Dan. 7:18,27; Jer. 3:15; Lk. 19:11-17). This promise was also made by the prophet Daniel in the following words: Then the sovereignty, the dominion, and the greatness of all the kingdoms under the whole heaven will be given to the people of the saints of the Highest One. (Dan. 9:27). In the New Testament, Paul made the promise in the simplest of terms: “If we endure, we shall also reign with Him” (2 Tim. 2:12). Lastly, Jesus affirmed the promise to the church at Thyatira: “He who overcomes… I will give authority over the nations; and he shall rule them with a rod of iron…” (Rev. 2:26-27). Are you serving the Master with your whole heart today? Time is limited and the hour is late. We need to be busy about the Father’s business. 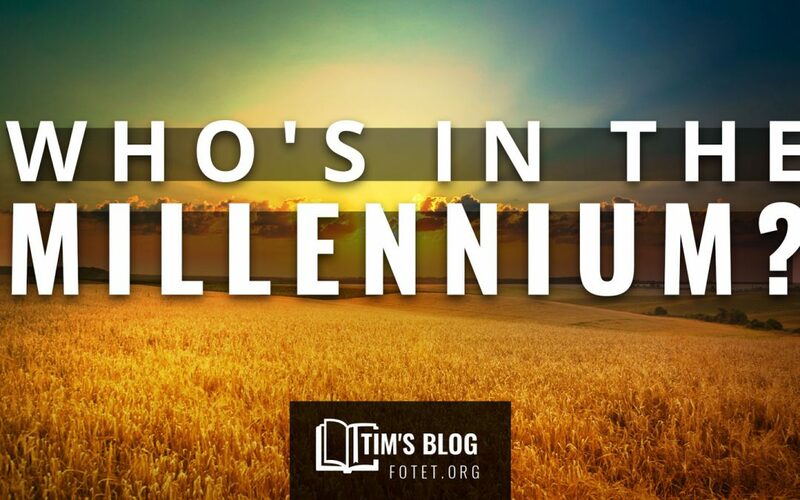 Who are the first people to begin living in the Millennial Kingdom? According to Isaiah, this unique group will live long lives, marry, and have children (Isaiah 65:20-25). Christ’s teaching on who will enter the Millennial Kingdom is summed up in Matthew 25:31-46. The passage describes the judgment of living survivors at the time of Christ’s Second Coming and tells us exactly who begins the Millennium. Also known as the “Sheep and Goats” judgment, Christ divides all the Tribulation survivors into two groups: The sheep represent those who have been saved during the seven year Tribulation and the Goats represent unbelievers who survived the Tribulation. The distinguishing characteristic Jesus uses to differentiate the two groups is how they treated Israel during the Tribulation. Revealing His close relationship to the chosen people, He refers to Israel as “my brethren” (vs. 40). Asking people how they feel about Israel is insightful even today. How do you feel about Israel? Jesus is the “lion of the tribe of Judah.” The world will one day appreciate him as the Jewish King who rules the world in justice and righteousness while sitting on the throne of the Davidic Dynasty in Jerusalem. Only born-again, Tribulation survivors (Gentiles and Jews) will enter the Kingdom (Jn. 3:3). 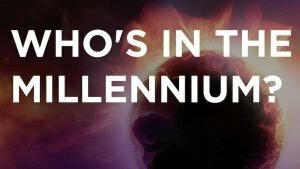 They enter the Millennium in their natural, mortal bodies and form the exclusive populace at the start of the Millennial Kingdom that live throughout the entire Millennial Age.